AABE Philadelphia Chapter’s mission is to provide energy professionals, executives, entrepreneurs, and students a pathway to learn more about the energy industry through education, mentoring, community service and business networking. Membership consists of minority professionals within the states of Delaware and Pennsylvania. Headquartered in Philadelphia, Pennsylvania, member companies include (but not limited to) Dynamic Solutions, Exelon, Exelon Nuclear, NorthStar Consulting, PECO, Philadelphia Gas Works and Sunoco. Professionals in all energy and energy-related disciplines (oil, gas, electricity, nuclear, renewables, government, technology, energy services and water) are welcome to join and give our membership a broader knowledge about the industry when topics arise. College students at accredited institutions studying energy-related fields are also encouraged to participate in AABE. Fabian P. Robinson is an Infrastructure Manager in the Information Technology Services Division of PJM Interconnection. Mr. Robinson has been a member of AABE since 2008. Currently he is the co-chair of the AABE Philadelphia STEM committee and the Mentorship program chair. As a long standing member he has served on multiple teams and committees to advance the mission of AABE. Currently in his professional role he is leading PJM’s Business Intelligence strategy and the corporate initiative to leverage Big Data from Phasor Measurement Unit technology. Previously, Mr. Robinson led the Statistical Analysis software team. This included application development and support for the Markets, Operations and Planning divisions in PJM, including applications such as Dispatch Operations Optimization, Congestion Analysis, Revenue Adequacy, etc. In addition, Mr. Robinson also led the team responsible for the Energy Management System User Interface applications and infrastructure. 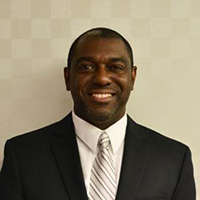 Prior to joining PJM, Mr. Robinson was the business intelligence lead and data warehouse administrator for Cable and Wireless West Indies. He led the design and deployment of the companies first Enterprise Data Warehouse which spanned several countries including Jamaica, Cayman, Barbados and others. This initiative brought consolidation to the corporate reporting efforts and a single source of data and applications for the analytical needs. Mr. Robinson earned a bachelor of science in Computer Science from the University of the West Indies and a master of science in Information Science from the Pennsylvania State University. Kendra King is an engineer in the Markets Division at PJM Interconnection. Miss King has been a member or AABE since 2014. She has served as chair of the Philadelphia Chapter’s book grant committee and a member of the BEAM committee. Currently Miss King works in Interregional Market Operations helping to manage congestion across seams with neighboring entities. She also leads the Dynamic Transfers project team managing external capacity moving into the PJM Markets. Prior to joining PJM, Miss King was a software engineer at GE Energy where she developed energy applications including a demand response management system (DRMS) and energy management system (EMS). She also developed analytics to determine the starting reliability of GE’s deployed gas turbine fleet and automated tests for various circuit boards used in the control systems for gas, steam, and wind turbines. Kendra also earned Green Belt Six Sigma certification at GE Energy for process improvement. Miss King earned a bachelor of science in Electrical Engineering, with honors, from Georgia Tech and a master of science in Electrical Engineering from North Carolina State University. Experienced Public Affairs & Community Relations Executive with twenty years experience in the public relations field. A skilled communicator, with public and private sector experience, interfacing with senior level executives, elected officials, community/civic organizations and business leaders. A detail-oriented professional, able to strategize and prioritize effectively to accomplish goals and objectives. Strong business development and community engagement expertise on industry topics that include an organization’s mission along with strong community involvement and inclusion. 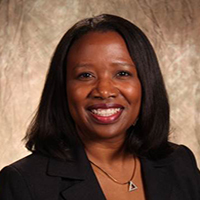 Shari A. Williams, Senior Communications Specialist, has served in this role for 20 years in the Office of Communications for the Pennsylvania Public Utility Commission and conducts advanced professional public relations work in Southeastern Pennsylvania and statewide. Shari helps to lead the planning, organizing and implementation of the PUC's overall communications strategy, specifically related to consumer education and outreach. Shari also works on high-level commission communication assignments and develops, plans, and staffs educational roundtables, workshops, train the trainer events, conferences, forums and the PUC's signature Be Utility Wise events. Shari also helps to enhance consumer education for Pennsylvania utility consumers specifically related to low-income assistance programs and serves on several working boards and committees to offer policy guidance on education, outreach and consumer friendly fact sheets and resources. Shari prepares and contributes to commissioner briefing materials, employee newsletter articles and the PUC press releases. Shari left the commission for nearly four years to work with the Marcellus Shale Coalition and returned in 2016 with more experience working with executive board level utility representatives and stakeholders in the regulatory and utility industry. Shari proactively promotes the Commission's educational shopping websites to consumers, utilities, suppliers and other stakeholders and develops and maintains a broad range of contacts amongst utility consumer advisory panels, chambers, small business groups, legislators and utilities to enhance the Commission's public outreach goals. Willa J Hightower is the Manager of the Utility Integration of Exelon Utilities in support of the BGE Integration. Boasting 15+ years of experience in finance and the utility industry, Willa Hightower is a proven leader across multiple lines of business. Willa has supported the integration of BGE into the Exelon family of Utilities as part of the Utility Integration team. In this role, She was a significant contributor to the development of Exelon Utility’s Integration Playbook to be leveraged as part of future acquisitions. Willa was the Manager of Revenue and Load Forecasting for PECO for 6 years. Prior to joining PECO, Ms. Hightower work in Finance for Exelon Generation/Power Team. She began her career as part of Georgia Power in Marketing and then with Mirant in Market Analytics. With extensive expertise in business, Hightower is able to synthesize data and articulate the strategic implications, while also being knowledgeable and well-versed in forecasting and variance analysis. Her greatest strength is the ability to look at situational facts, quickly decide what should be done, and execute effectively and in a timely manner. Willa makes an equally positive impact in her community as a Board member for various professional and non-profit organizations, including Family Services of Chester County, for which she is the Immediate President; and the Legacy of Love Foundation, Inc, for which she is the recently appointed Vice President, former President. She was recently elected to the Marian Anderson Awards Board. In each role, Willa has assisted in overall Board governance, organizational growth and strategic development, and ensuring financial responsibility. Additionally, Willa is a member of the Delta Sigma Theta Sorority, Inc, the National Black MBA Association, the National Society of Black Engineers, and the Society of Women Engineers. Willa earned a Bachelors in Industrial Engineering from Georgia Tech and a MBA in Finance from Georgia State University. Willa was recognized as Legacy in the Making 2007 by Philadelphia Alumnae Chapter, Delta Sigma Theta Sorority, Inc. as 80th Anniversary Celebration. Jeanmarie Lee is a Principal Analyst in the Energy Acquisition Department at PECO, an Exelon Company. Jeanmarie is responsible for overseeing all aspects of multiple Energy Acquisition projects, and partners with business subject matter experts and Information Technology to manage the prioritization and execution of the projects. 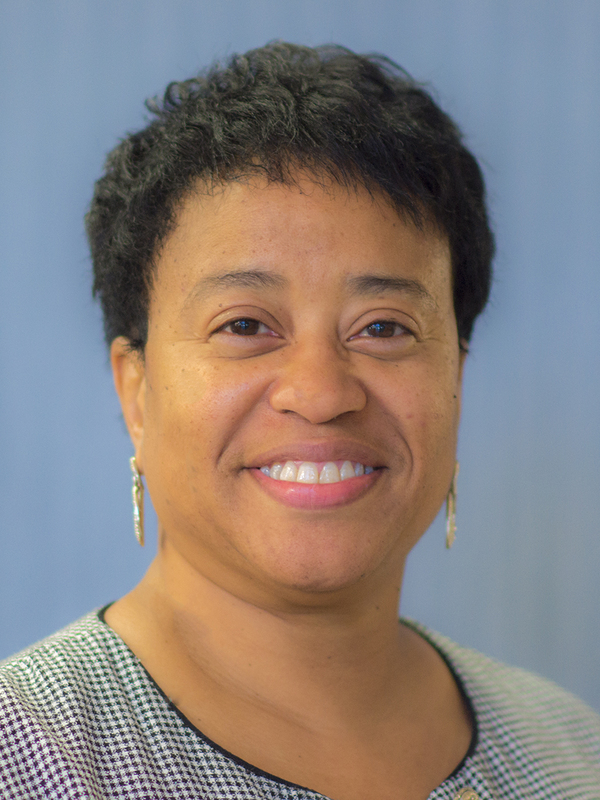 She manages department business processes and systems, and identifies and implements improvements required for PECO to purchase power in the PJM marketplace and administer its electric and gas choice responsibilities. Jeanmarie has served 29 years with Exelon and PECO holding various positions in Engineering, Project Management, New Business and Information Technology. Jeanmarie has a Bachelor of Science degree in Electrical Engineering and a Master of Science degree in Engineering Management both from Drexel University. She was a member of the 27th class of the Exelon Supervisory Development Institute. 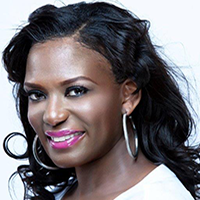 She is a recent graduate of the Urban League’s Urban Leadership Forum – Class of 2014. 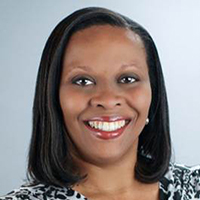 Jeanmarie is the President of Exelon’s African American Resource Alliance (EAARA) in Philadelphia. She is also a member of the Network of Exelon Women (NEW) and the Organization of Latinos at Exelon (¡OLE!). She is an active member of the PECO Voices of Diversity and Inclusion team. She is also an advisor for the PECO Explorers and a coach for the Philadelphia READS program. Jeanmarie has been a member of AABE for 17 years and has been actively involved in supporting and/or planning the Black Energy Awareness Month (BEAM) activities for the last 6 years. Risa Holland, a member of the PJM Knowledge Management Center, has nine years of experience at PJM. She participates on a team which supports PJM’s stakeholder/member facing staff by providing knowledge, expertise and skills that facilitate member issue resolution. The Knowledge Management Center is focused on implementing and leading initiatives that make it easier for PJM’s members to do business. Risa is the primary point of contact for communications for members and externally facing PJM staff to stay apprised of updates and changes in Markets, Settlements, Operations and Planning. She has knowledge in PJM operations, new generation Interconnection Planning, Capacity and Energy Markets, Customer Account Management and is responsible for improving and developing a broad range of strategies, processes, and techniques to increase PJM member’s customer satisfaction. She has an additional twelve years of utility distribution experience. Risa is a graduate of Temple University and Eastern University.